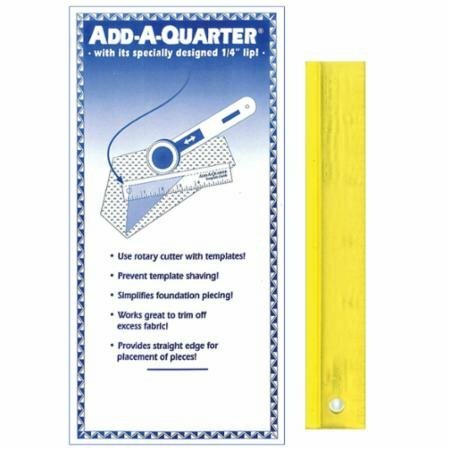 The Add-A-Quarter Ruler combines the speed of rotary cutting quilt pieces with the accuracy of using templates. 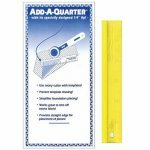 Once your paper piecing seams are made, fold back the paper on the stitched line, align the Add-A-Quarter Ruler against the folded paper line, and the Add-A-Quarter Ruler will automatically add the customary ¼" seam allowance to any straight angle while providing a straight edge for you rotary cutter. This is the 1" x 6". There are a variety of sizes in this ruler.